"(The) current scenario expects start-up compliance to be on a par with a high-scale business set-up, often acting as a bottleneck to new entrepreneurs to focus on business," says Aprameya Radhakrishna, Co-founder, TaxiForSure, an online taxi booking platform. Finance Minister Arun Jaitley should simplify tax rules for start-ups and small businesses in the Budget for 2014/15 to encourage entrepreneurship in the country, entrepreneurs and angel investors say. He adds that early-stage start-ups should receive tax and regulatory relaxation to provide "an environment conducive to plan and implement the right business model to solve the right issues". 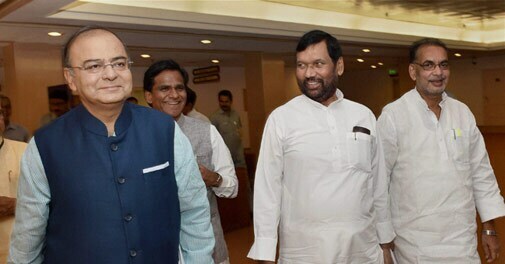 Jaitley will present the maiden Budget of Prime Minister Narendra Modi's government on Thursday. Small-scale manufacturing companies are also hoping to benefit from the budget. "The budget should simplify the tax rules, improve tax compliance and lower tax litigation," says Dev Anand, Director, Sundev Appliances, adding that there are about three million start-ups and SMEs in the country. Payment products company CitrusPay's Chairman and Founder, Satyen V. Kothari, says that for a technology-focused company like CitrusPay, monetary incentives are needed to drive mobile banking and digital payment services. "The use of technology should be efficiently and diligently put in action to facilitate a full-fledged online automated system for completing all type of clearances, approvals and formalities required for starting and operating a business," adds Anand. Angels, not just provide money to start-ups but also mentor budding entrepreneurs. V. Shankar, an angel investor with The Chennai Angels, points out that the Companies Act 2013 requires convertible instruments to be issued at a fixed conversion rate. "Promoters of start-ups prefer to have conversion ratios dependent on the success of their business. This way if they do well they get to keep a larger share of their business," he says. "India is on the cusp of a great new growth cycle. One obvious way of increasing employment and benefiting from the demographic dividend is to promote entrepreneurship," he adds.